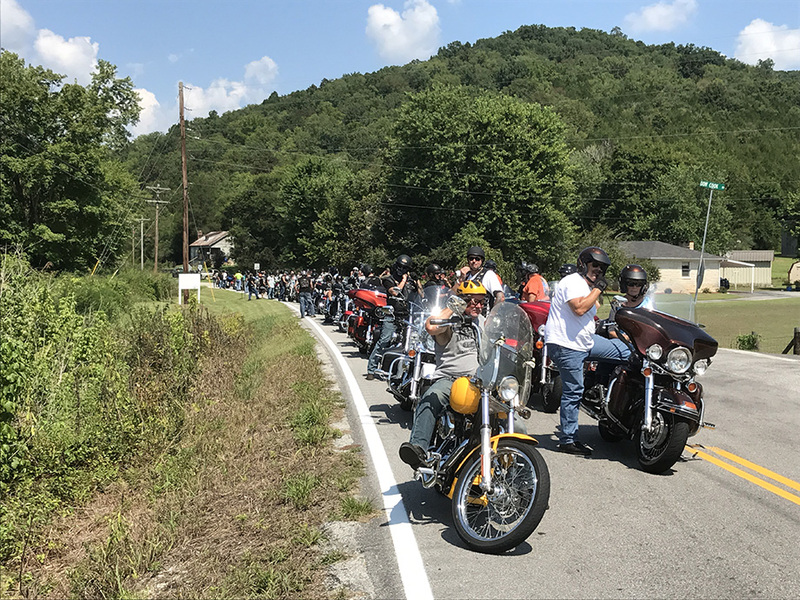 The long awaited 2017 Ring of Fire Ride took place on Sunday, August 20! 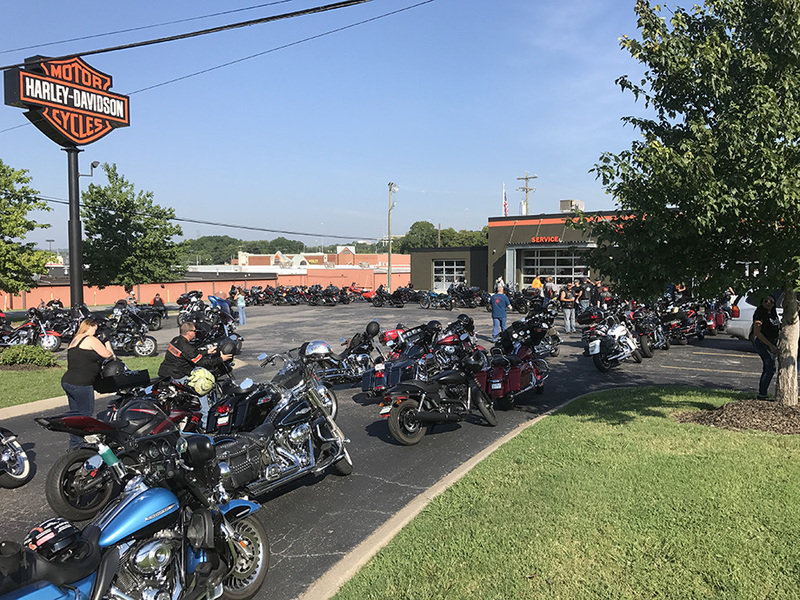 Bubba Boswell lead a ride of at least 130+ bikes from Ring of Fire H-D in Madison heading to The Bull and Thistle in Gainesboro, TN. I don’t think I was able to really grasp how big this ride was gonna be but my buddy Ray said, just wait and see. Here’s some pre-ride pix in the parking lot as riders kept rolling right up to the last minute. We took some windy back roads with a few twists and turns that I wasn’t ready for but ended up doing well. I’m definitely not ready for Dragon’s Tail. There’s about another 12-16 bikes in front of us but that was a quick stop at the Hwy 87 intersection to gather everyone back up in the group. Just a couple of dudes who like to ride! 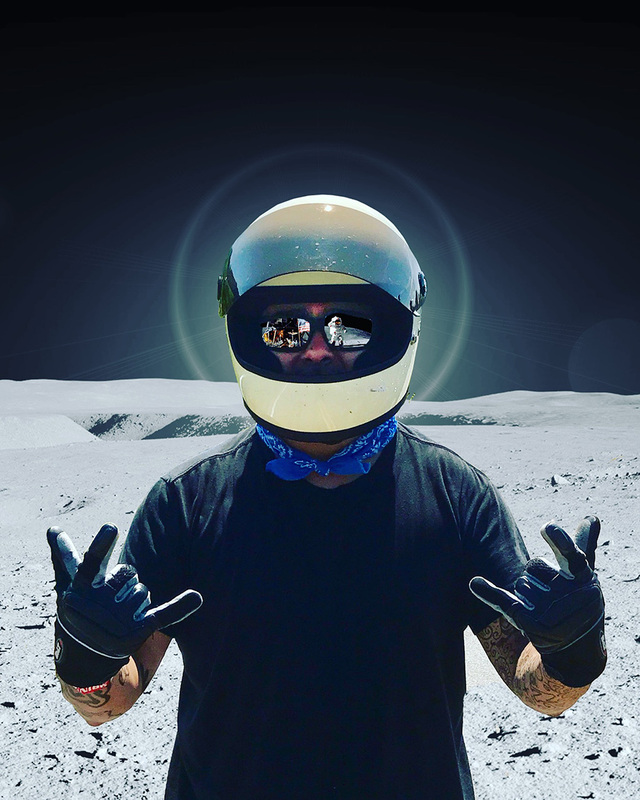 Oh, this was the Sunday before the big eclipse event and I couldn’t resist posting this space man pic I did of Ray. You might have seen it on my Instagram (@krandallwilcox) feed but here it is again. 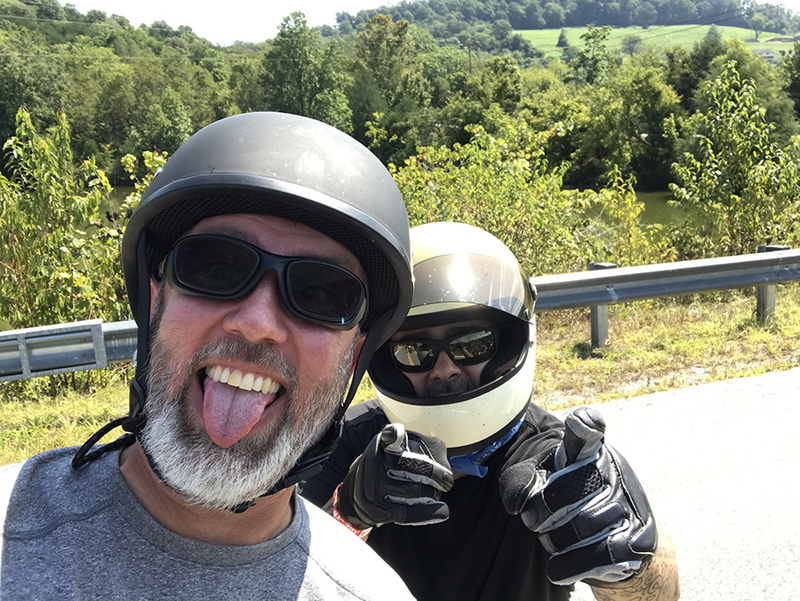 After a bite to eat at The Bull and Thistle, Ray and I followed Bubba and Melissa back for a bit and eventually broke off and I got to log some more highway miles in on the 40 headed back to our house. What an epic day with a big group of people. I officially logged 3,250 miles as new rider at the end of this trip. Time for a 5K mile service and switch to synthetic. Now that Fall is about to be in full swing, I cant wait to get back out on the road. Some trips coming up: Memphis, TN, the recently restored Castle & Key Distillery in Frankfort, KY, Jack Daniel’s Distillery in Lynchburg, TN.